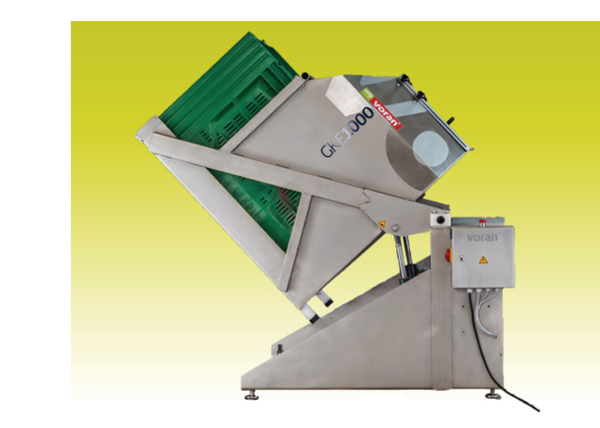 Machines for lifting fruit containers. 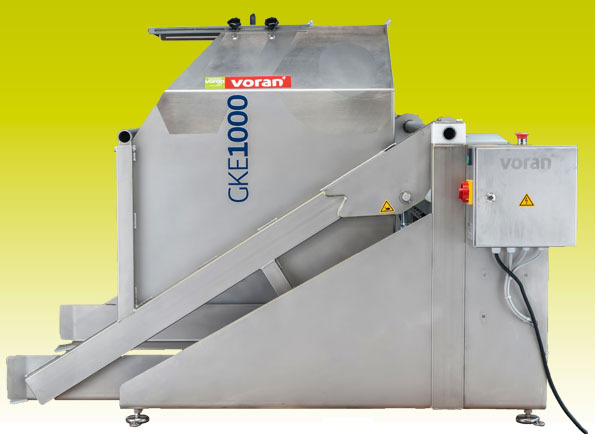 The machine lifts and tilts the containers to feed the apples or other fruit into washing-grinding units. The bins can be placed in the machine by a lift truck or a forklift. Pressing a button hydraulically tips the container. The tipping process stops when the button is released and the bin remains in its current position until the button is pressed again. Pressing a further button returns the empty bin to its initial position where it can be removed again. The device is manu­factured from stainless steel and equipped with support feet.